Pilot Sleeve™ with it’s unique self-sizing design takes up the gap between the 22mm stud and the 26mm wheel opening, realigning the wheel to the TRUE CENTER of the hub bearing. FREE Shipping all orders over $500.00, U.S.A. only. International Customers, call for a shipping quote. 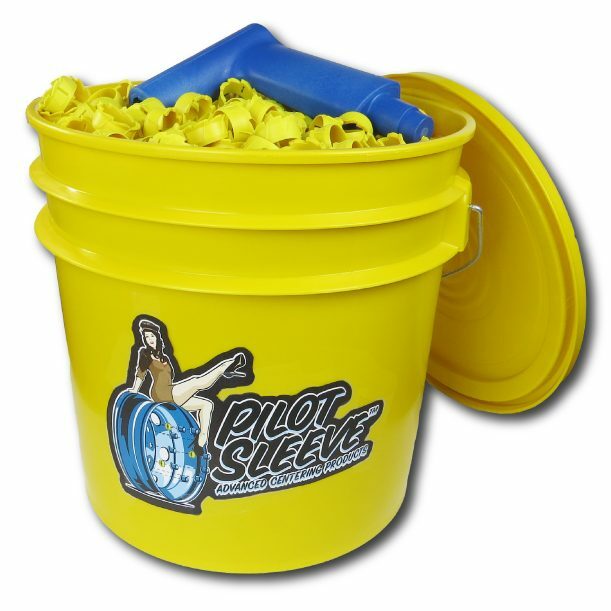 A complementary ZIP TOOL is added to each purchase of a bucket of 1000 pieces Pilot Sleeves! Over time, the pilots on the hub can lose tolerances originally intended from the factory, allowing an offset between the wheel and the studs which can lead to radial wheel runout. 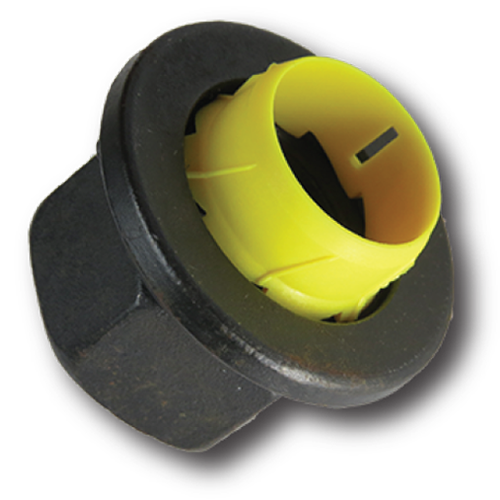 Runout contributes to excess tire wear, increased fuel consumption, driver fatigue, and even the loosening of lug nuts and wheel “clocking”. Just one Pilot Sleeve™ wheel centering part number services all hub-piloted wheels with 22mm studs, including: Steer Wheels, Drive Wheels, Steel Wheels & Aluminum Wheels! Learn what our REVOLUTIONARY centering products can do for your safety… and for your business! Note that a complementary ZIP TOOL is added to each purchase of a bucket of 1000 pieces Pilot Sleeves! Perhaps Stempf’s best invention ever in our 80-year history! 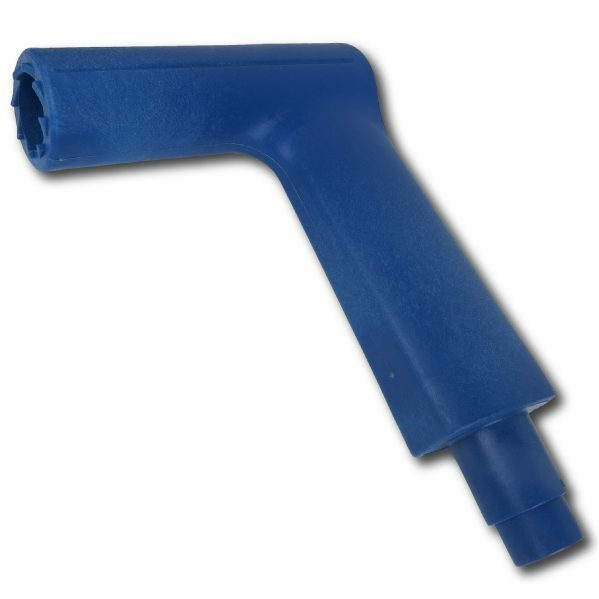 I may be a little biased, being the owner of the company, but you simply have to try this product …CALL US and ask for your FREE sample pack of 6 Pilot Sleeves. We have been using the Pilot Sleeve at Triangle Warehouse for about 6 month. We add them to every tire change. Still have a lot of trucks that are new yet to do.